Have you ever wondered what those little packets in your shoes boxes really do? You’ve probably heard your parents say not to touch them as they were thought to be toxic. You probably even have the habit of throwing them away instantly. However, a lot of people are discovering that these little packs of silica gel are much more useful than you think. Silicon dioxide (SiO2), also known as silica, is a natural compound made of two of the earth’s most abundant materials: silicon (Si) and oxygen (O2). The Earth’s crust is 59 percent silica, and it makes up more than 95 percent of known rocks on the planet. When you sit on a beach, it’s silicon dioxide in the form of sand that gets between your toes. 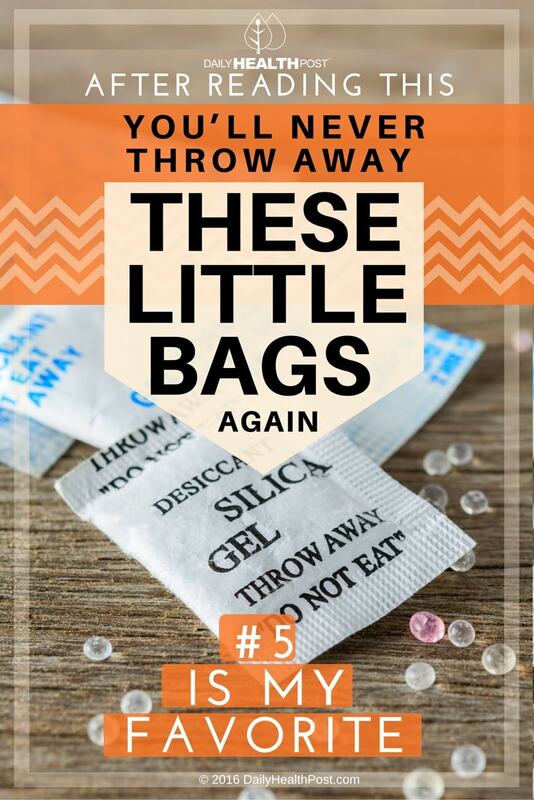 Silica gel is a desiccant, a substance that absorbs moisture, which makes these packets perfect for keeping things extremely dry and moisture-free. If your cellphone gets wet, quickly remove the battery and wipe away excess water and place both parts in an airtight container with a few packs of silica gel. The more gel the better. Leave it for 24 hours or so and try turning your phone back on. If it didn’t quite work, repeat the process with new packs of silica. Some phones are more sensitive to water damage than others, so results may vary. Razor blades gets dull after being an environment with excess moisture for too long. To extent the life of your blades, wipe them dry with a clean towel and place in a ziplock bag containing a few packs of silica gel. You can also use this method to store unused razor blades to keep them sharp. Place a little bag of silica gel in you camera case while you travel to keep you camera case from humidity and keep your lenses clear. 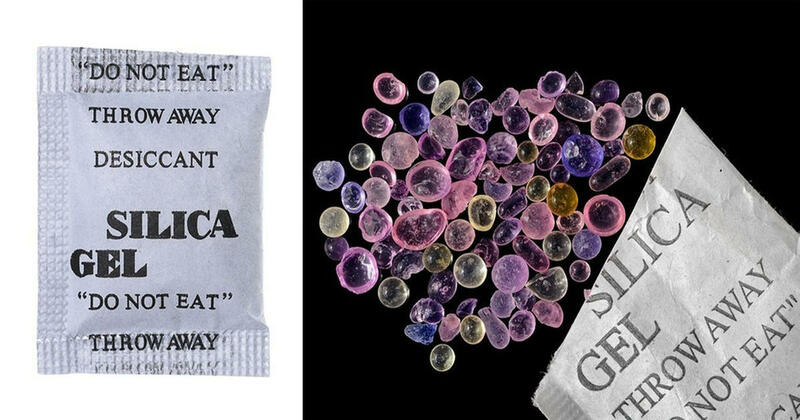 You can also use packs of silica gel in underwater or waterproof cases for extra protection. Moisture tarnishes and corrodes your silver jewelry and serving ware over time. If you’re going to go through the pain of polishing and maintaining those silver items, make sure to store them with a few packs of silica gel. Changes in temperature can cause windshield fog, dramatically reducing visibility. To avoid these dangerous conditions, place a few bags of silica gel on your dashboard to wick away humidity.